There is nothing sweet or scientific about a boxer punching his opponent three times below the belt. Unless, you’re referring to the science of reproductive complications arising from said below the belt punches. Then, you might be onto something. One such boxer who most assuredly needs to go visit a specialist sometime in the near future is Lolito Sonsona. 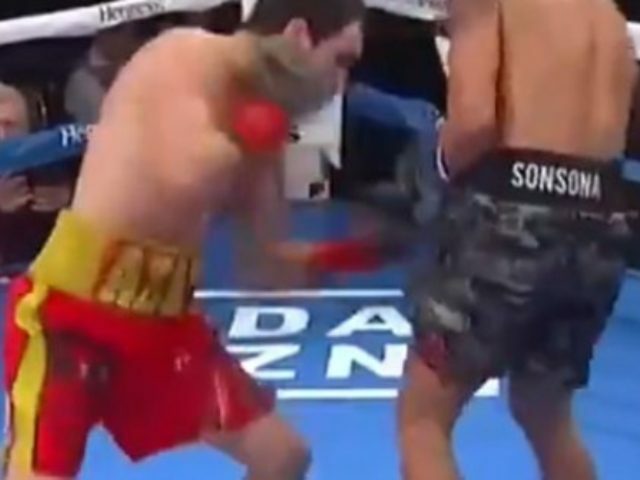 On Saturday night, Sonsona endured a 3-punch combo from Azat Hovhannisyan, with all three of the devastating shots landing below the belt. To add even more insult and injury, Sonsona then got knocked out. There aren’t many worse indignities a man can suffer, than what Lolito Sonsona had to endure in front of the crowd at Fantasy Springs Casino in Indio, California. Then again, the fact that he was able to get up and continue the fight is stunning. However, a note to Azat Hovhannisyan’s future opponents, make sure you wear your cup.